Summer is threatening to arrive at any minute and the boredom of eating the same old chicken and broccoli is starting to set in as I’m frantically trying to eat healthy and get in shape for the nice weather. Eating healthy can be difficult, particularly when it can become so tiresome eating the same thing over and over again. Luckily HelloFresh are at hand with their Flavour Generator which helps find tasty, nutritious meals that are easy to make so I thought I’d give it a go to see what it’s like. The Flavour Generator is super simple to use – first you put in the type of food you like with options of Indian, Mexican, British, Italian or Middle Eastern. Then you pop in what you fancy which could be something spicy, sweet, herby, tangy or for the adventurous – something I’ve never tried. Clicking “Generate My Flavour” then brings up a couple of options of things that fit your criteria. I was in the mood for Spicy Indian Food and got two options – Lamb patties with yoghurty lentils and sweet potato discs (prep time 30 mins) or fresh start aubergine korma with homemade wholemeal chapatis (prep time 45 mins). 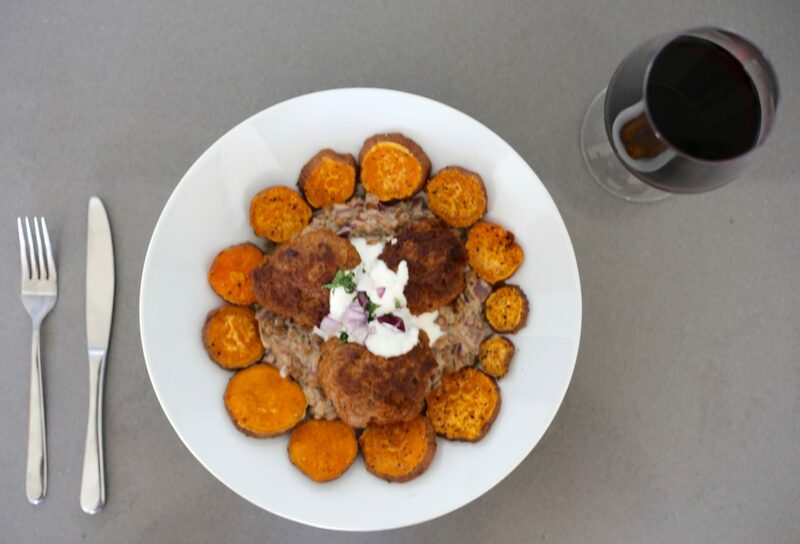 I prefer meat with my meals and also as a rule don’t like to spend more than half an hour cooking (because I’m super lazy) so I decided to make the lamb patties. 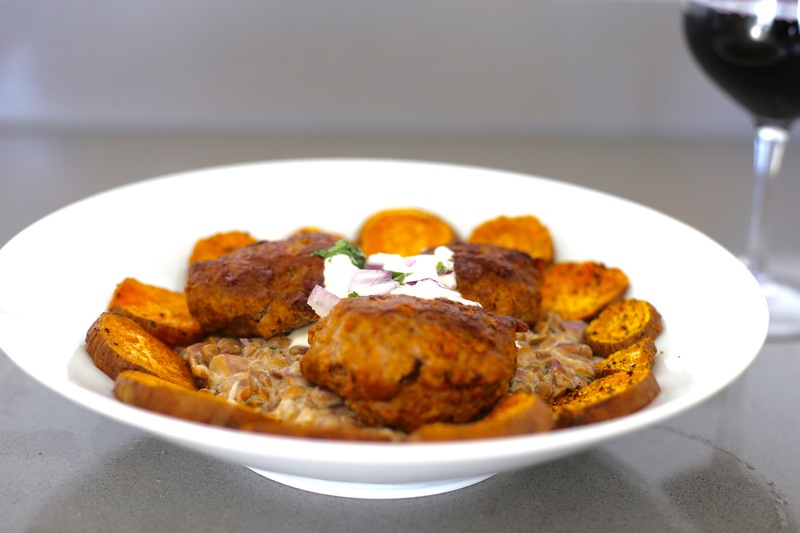 Clicking on the lamb patties option brought up the full recipe and ingredients list which you can see here. What I liked particularly was that the ingredient list wasn’t too extensive – it really annoys me when you get these healthy recipe books where the food looks amazing but they have loads of ingredients that end up costing a fortune to buy, this wasn’t the case at all here. So off I popped to get the ingredients for the meal. If you have a full spice rack at home anyway the recipe only required 7 ingredients to be bought and certainly didn’t break the bank. 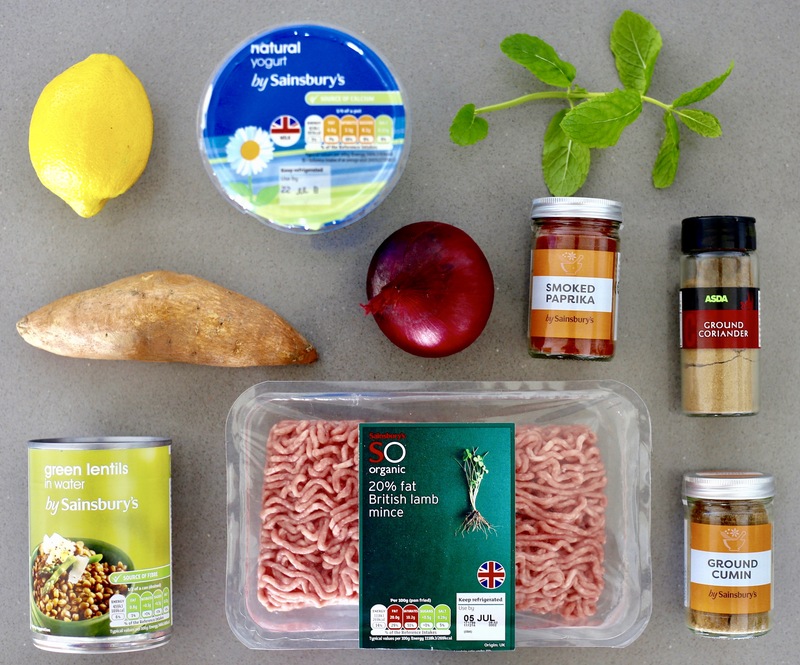 I treated myself to some organic lamb mince but clearly there are cheaper options available. Cooking the meal itself was pretty simple and the most complex thing that had to be done was chopping an onion which even I can just about manage! The end result was a wholesome and healthy meal (maybe apart from the glass of red that went with it!) that tasted delicious and looked pretty on a plate. I served it to my boyfriend and his sister and it went down a treat with everyone’s meal being completed polished off. 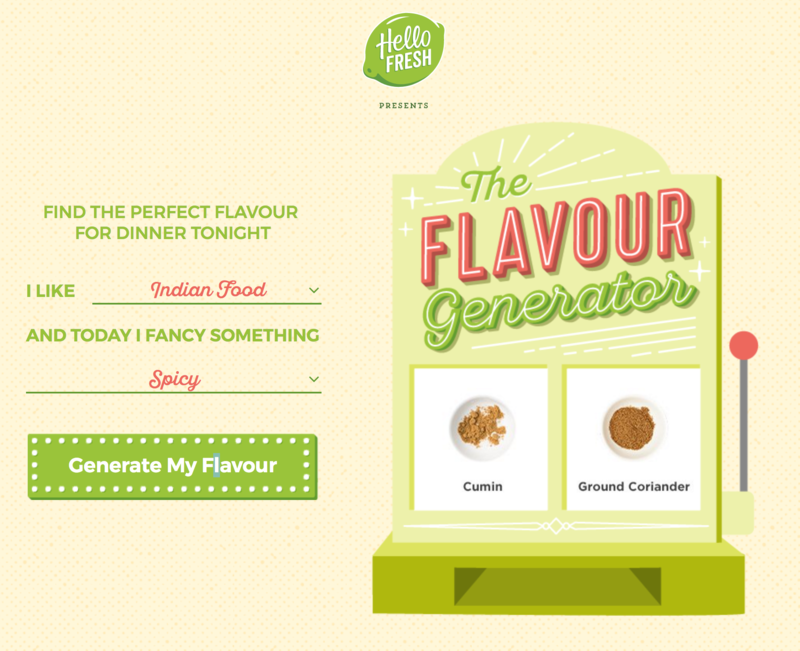 I’ll definitely be using the HelloFresh Flavour Generator next time I’m in need for some inspiration for something tasty and healthy to eat this summer. 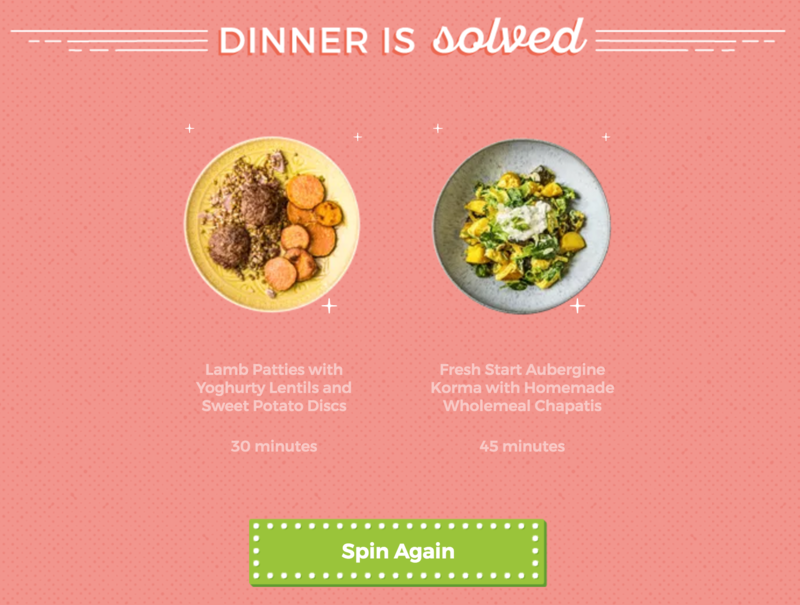 For more information you can visit the HelloFresh website here. Previous Post How about some ‘Botox in a Bottle’?